The Wildlife Liquefaction Array (WLA) is a ground motion monitoring and liquefaction research site located at the southern most terminus of the San Andreas Fault system. The WLA field site records numerous earthquakes daily in this seismically active area. WLA is situated in California's Imperial Valley on the west bank of the Alamo River 13 km due north of Brawley, California and 160 km due east of San Diego. Records from WLA provide essential information to scientists who study ground response, ground failure, and liquefaction as this site is highly susceptible to increases in pore pressure. Predicting these effects using computer models requires instrumented field sites to validate the simulation methods against real observations. Instrumentation of the site began in 1982 under the USGS but got a major ungrade and expansion when the loaction became a NEES site in 2001. The near-surface geology of the WLA site consists of a 2.5 to 3.0m thick layer of silty clay to clayey silt caps the site. This layer is underlain by a 3.5 to 4.0m thick granular layer composed of silt, silty sand, and sandy silt. The granular layer is underlain by a thick layer of silty clay to clay. 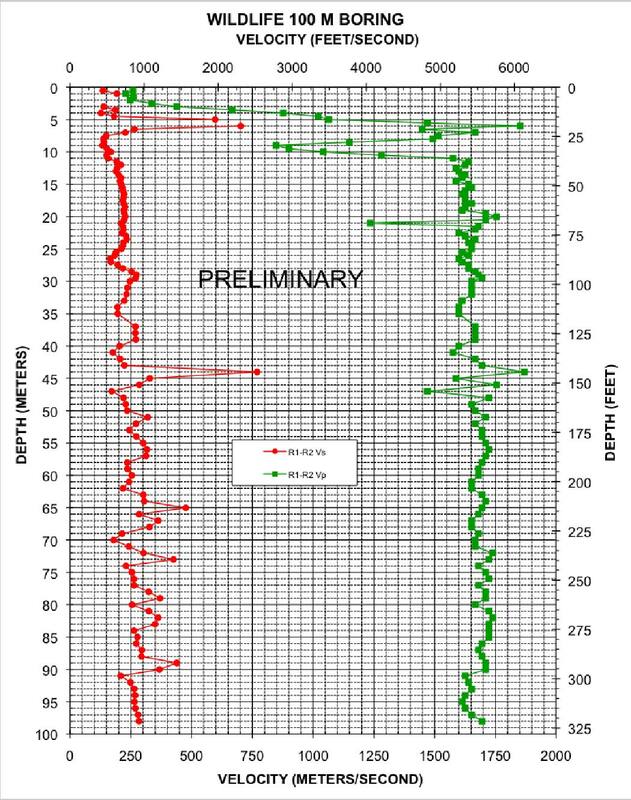 The confined silty sand layer, from approximately 2 - 7 m, is highly susceptible to increases in pore pressure and potential liquefaction and a major reason for selecting this site for instrumentation Six events in the past 75 years have generated liquefaction effects within 10 km of the WLA site. Researchers are using earthquakes that occur on a daily basis near this site, as well as active testing using mobile shakers, to try and better understand how near-surface geologic conditions affect ground shaking.